We are in the midst of a T cell revolution in cancer treatment. In the past several years, new therapies like immune checkpoint inhibitors (ICI) and adoptive cell therapies like chimeric antigen receptors (CAR-Ts) have offered new hope to millions of people suffering from cancer. ICI therapies “take the brakes” off T cells, a form of white blood cell that can kill tumors. By taking the brakes off, these drugs help overcome natural barriers erected by cancers to prevent our own immune system – and in particular, our T cells – from fighting cancer. CAR-T therapy, meanwhile, engineers a patient’s T cells to mount an attack on certain tumor cells. These new therapies herald future therapies employing T cells to attack tumors with ever greater accuracy. T cells attack specific targets on tumors – proteins processed by the tumor and presented as peptides on the tumor surface, where T cells interact with them. But which of these so-called antigens represent appropriate vaccine or cell therapy targets? There could be hundreds or thousands of antigen candidates per person, and the antigens eliciting anti-tumor T cell responses vary per person. Down-selecting from this large number of candidate antigens, and accounting for the tremendous breadth of human genetic diversity of T cell responses to antigens have daunted the field as it has searched for better antigen selection tools. Conventional in silico tools employ what amount to no more than educated guesses. Such tools predict whether a protein could result in a peptide that may be expressed on a tumor surface. Evidence presented to date suggests that such educated guesses do not produce optimal results. Genocea uses a patient’s own T cell immune response machinery to identify optimal antigens. We can thereby develop a per-patient tumor-specific immune response profile. We use this profile to identify truly relevant antigens for each patient. Our ATLAS™ technology platform works as follows. As depicted in this image, in an in vitro assay, polypeptides corresponding to each identified mutation from a patient’s tumor are delivered individually into their antigen presenting cells (APCs), which then process and present the peptides on the cell’s surface where they can be recognized by T cells. If a T cell recognizes and binds to the peptide, a cytokine response will be triggered, which we measure to determine whether the candidate is a true antigen, and further, whether that antigen is “good,” or stimulatory, or “bad,” inhibitory. Our ATLAS platform is protected by several families of issued patents and substantial know-how. The core invention underlying ATLAS was developed by our scientific founder, Dr. Darren Higgins from Harvard University, and has been refined by Genocea scientists over the past decade. At Genocea, we publish our breakthrough research in peer-reviewed journals and present regularly at top-tier scientific conferences. We are developing a broad pipeline of precisely targeted cancer immunotherapy candidates. 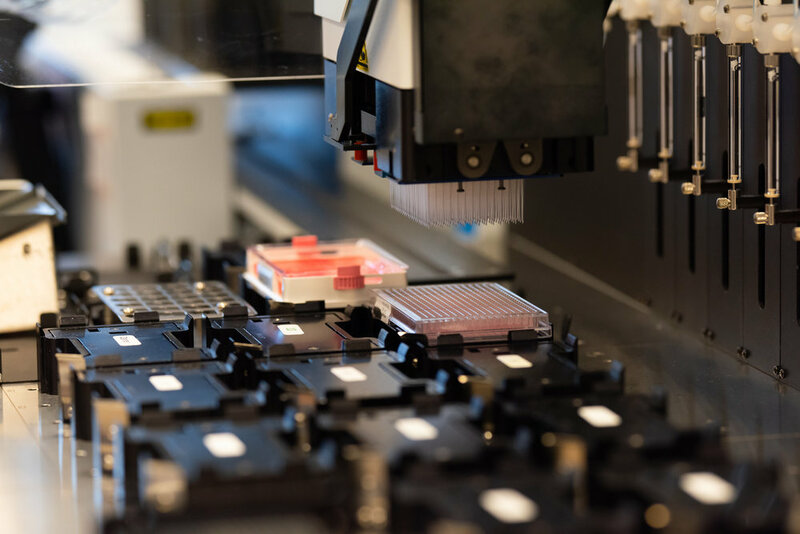 Genocea is seeking partners for several of our pre-clinical and clinical-stage immunotherapies as well as our ATLAS capabilities.